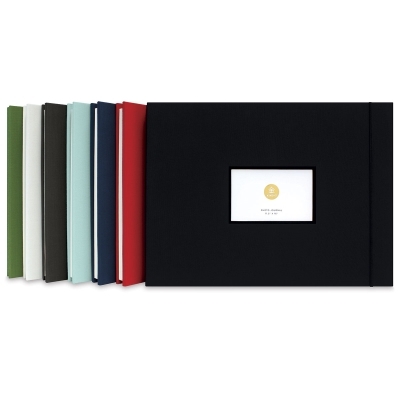 Every Kinsho Photo Journal is crafted using acid-free, archival papers to ensure longevity of your photos. 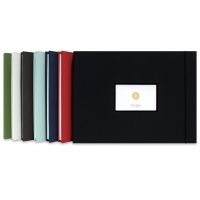 The soft Japanese cloth covers are available in a variety of stylish colors. Unique features such as a cover window with black accent mat, a back pocket to hold keepsakes, and a band closure offer not only style but functionality. 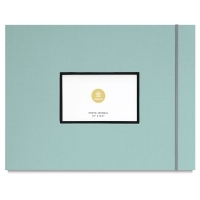 Kinsho Photo Journals offer scrapbook-style pages for personalized arranging of photos, plus the opportunity to capture memories next to the photos. 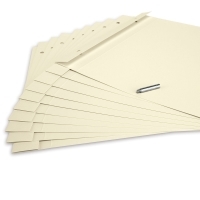 Every photo journal has 10 scored ivory-colored sheets. Add refill pages and extension posts to expand them as needed. Choose from a variety of sizes and colors. 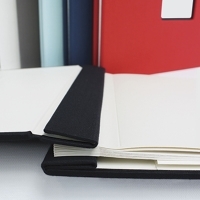 The 9" × 10½" cover holds 10, 8¾" × 8¾" pages that comfortably accommodate arrangements of photos in sizes from 4" × 6" up to 5" × 7". The 10" × 13½" cover holds 10, 9½" × 11½" pages that comfortably accommodate arrangements of photos in sizes from 4" × 6" up to 8" × 10". The 11½" × 16" cover holds 10, 11" × 14" pages that comfortably accommodate arrangements of photos in sizes from 4" × 6" up to 8" × 10".